Refinery and chemical plant explosions are thankfully rare, but when they occur they often result in devastating injuries or the death of many workers. In chemical plants and refineries, the production of gases, heat buildup, and the resulting chemical reactions create the perfect environment for devastating explosions to occur. Violation of safety regulations. The Occupational Safety and Health Administration enforces stringent regulations to improve workplace safety. If these aren’t adhered to, a serious explosion may occur. The use of impure or dirty chemicals. Contaminated chemicals can lead to explosive chemical reactions. Unseen corrosion. When metal is worn down due to the everyday processes of a plant or refinery, it can begin to weaken and corrode. This can cause safety valves on critical pieces of equipment to malfunction. Poor maintenance of equipment. Boilers, storage tanks, and pressure vessels can fail due to lack of proper maintenance. Burns. The extreme heat and chemical reactions typical of plant explosions can lead to severe burns. These painful injuries may result in long-lasting scarring and disfigurement. Lacerations. Falling and exploding debris can cause serious and painful cuts, resulting in permanent scarring. Acoustic trauma. 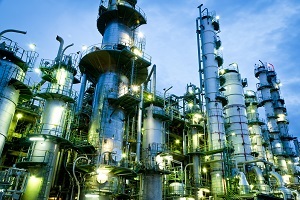 The sheer noise caused by a refinery plant explosion can result in temporary or permanent hearing loss, due to damage to the hair cells and the auditory nerve. Orthopedic injuries. The force of the initial blast can result in muscle sprains and strains, broken and fractured bones, damaged vertebrae, and herniated discs. Smoke inhalation. Inhaling smoke from a burning chemical plant can cause immediate symptoms such as coughing and shortness of breath, and long-term effects including injury to the small airways. Employers are required to provide safe workplaces for their employees, and they may be liable for significant damages if they fail to do so. If you’ve been injured in a plant explosion, you may be entitled to compensation for your medical expenses, permanent disability or disfigurement, lost wages, and pain and suffering. To discuss your claim, contact the law offices of Steve M. Lee, P.C., by using the form on this page.